Wait, there was a crash? When? Where? How? I guess we shouldn’t be that surprised given the nature of the sport but there aren’t that many people racing and the course is pretty safe… What now? 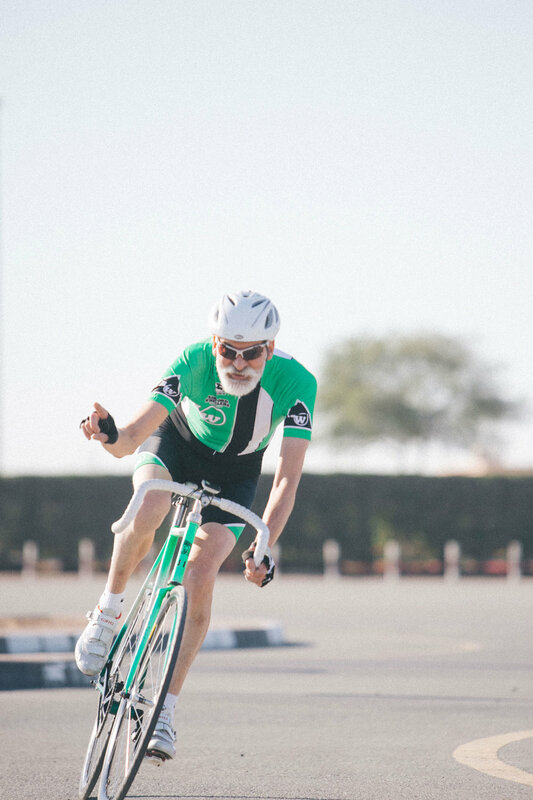 Saturday the 3rd of November 2018, the first every criterium organized by Kingdom took place in Dubai – the first race of the 2018 Kingdom Criterium Series. The course was the first thing picked out; weeks back, this same course was used by Team Kingdom to practice for Red Hook Crit. 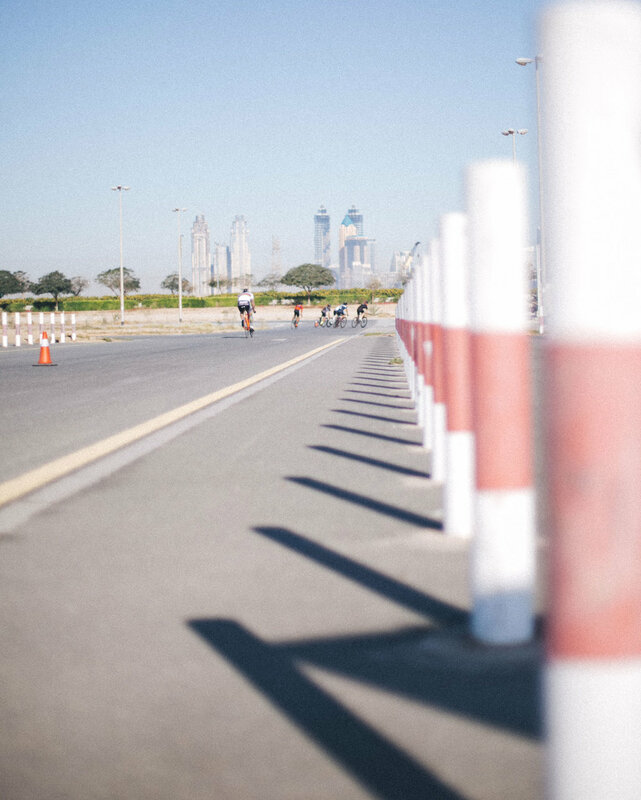 It seemed fitting for the first ever fixed-gear criterium in Dubai. 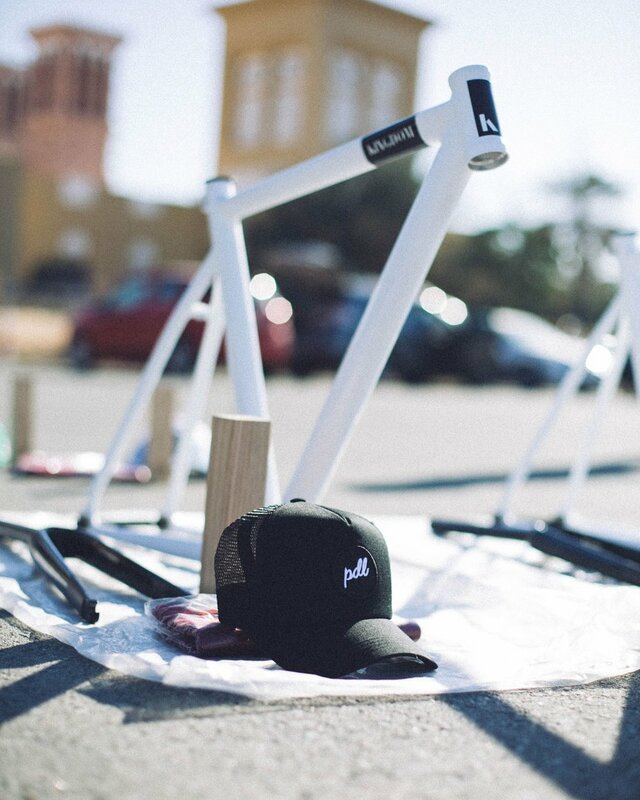 It was a low-key race, under the radar, and revolving around the local fixed-gear scene. We had everything newbie race organizers think they need to organize a race: cones, tape, finish line, table, and a horn. Gotta have a horn. 6:30 in the morning and we’ve set up our little table in the middle of a road in the middle of nowhere, put some wavers on it, shot a picture for instagram and we’re ready for riders and registration. Our 1.7km course had all the cones laid out and not make things NOT easier cars and buses kept driving through the course which we were pretty sure was abandoned. Apparently it wasn;t so abandoned, leaving us with 2 options - change the course and add two new hairpins on the limits of the main road so we don’t use it or close the street and hope the cars/ buses listen to us and stop while the riders pass through. An hour later we have about half a dozen riders riding around the course, the ladies race is starting soon and a car hasn’t come by the main road in a while. Final course check and recon done and we’re a go for race #1. Kayen and Joana are up. A quick “on your marks” and a terrible attempt at blowing the horn ends up with more weird white liquid coming out than sound. Some weird gesturing follows that and the riders are off. The ladies are off and given the first lap prime sponsored by The Project, Kayen attacks on the first corner and goes solo, she takes the prime and just keeps on going. On this 8 lap race, a half-way prime is announced, which means that at the end of lap 4 another prize is given. Kayen is still going solo as the horn goes off at the end of lap 3. Joana is trailing not far behind but she can’t take the second prime for the solo breakaway rider who decides to keep at it until the end of the race, not losing much if any space to the chasing rider. One lap remains, the horn blows for the last time, and Kayen eases on the pedals as she realizes the size of her gap. Both riders cross the finish line safe and sound, looking badass and celebrate being awesome. A successful day for the ladies on the KCS1118. As planned we head out for a recon lap of the course with the 6 guys at the start line. It’s a good turnout, no reason not to be safe. As we are finishing the recon lap, 5 guys on fixed-gear bikes ride onto the course. Apparently our out-of-the-way venue was a bit too out of the way and this crew had only just made it. 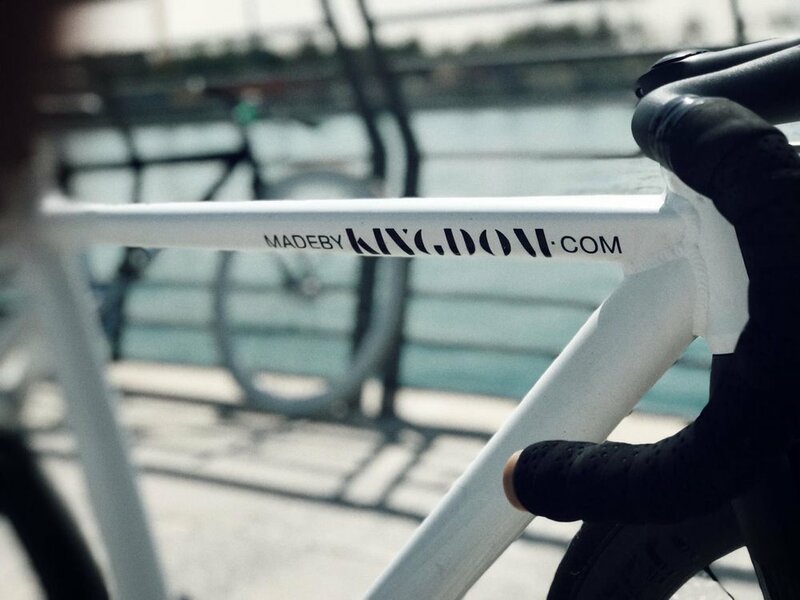 Because the sport of fixed-gear is a community of like-minded people that care about each other, legitimately, another recon lap was done and with everyone registered, waivered and warmed up we were green light. We were getting pretty pumped. After explaining the small list of rules and format, giving recognition to sponsors and thanking the participants for their presence, a 30 second countdown began. “30”, “15”, “10”… Not a second after Andre blew the horn and the legs began turning.. With a few difficulties getting the feet into their foot retention devices, the field of 11 riders got to the first corner together. Right after that on the second corner, and probably tightest of the course, a rider looses control and goes over his handlebars causing the following rider to jump over to the sand. Fortunately this was a slowest corner of the course and the one benefit of Dubai is lots of semi-soft sand, so both riders got right back up undamaged and carried on. Phew. Meanwhile a breakaway of two riders takes off, fighting for the first lap prime, taken by Kingdom Brand Ambassador, Jem. The two men ride together as a third competitor trails at a fast pace. Once the 3 get bunched up together everyone else behind seems too far away to fight for the podium, but we’re only 2 laps in to a 12 lap race and with one of the leaders starting to fade it’s all on. As the battle at the front is happening the tactics start to kick in. Miguel, the rider who came from behind decides to let his competitor take most of the wind work as a fourth rider is catching them , and they can work together. The fourth rider is Josh, the guy that fell on the first corner and was putting in a huge effort to catch the front group. Finishing the second lap close to a kilometer behind the leaders, Josh was now right behind them just in time for the half way prime which was taken by Miguel who had been smartly resting on Jem’s wheel. The new three-man breakaway is in the clear for the podium, lapping riders every lap. As they work together, with two laps to go, Josh sends an attack after a technical corner attempting to breakaway solo for the win. Miguel, trying to help, lets Jem do all the chasing and not long after Josh is caught. Now there’s one lap left and Miguel is keeping the pace up, giving Jem no time to rest. 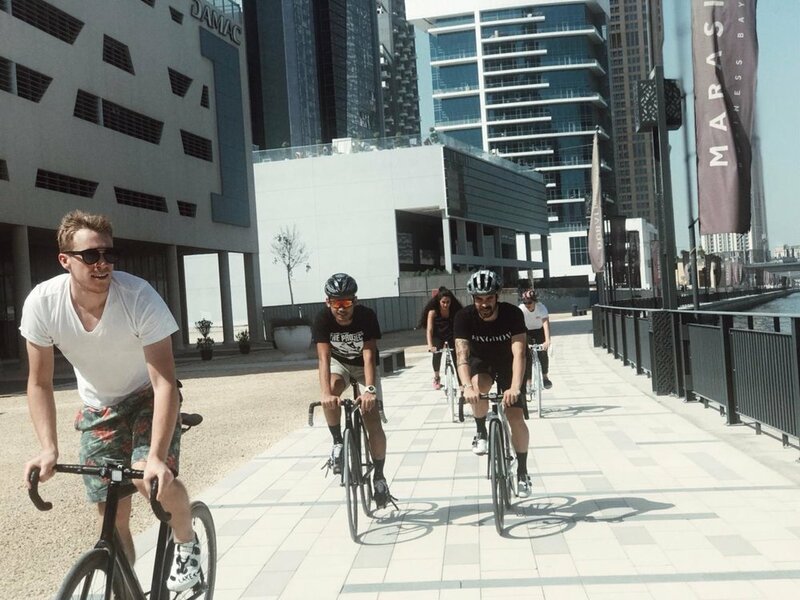 Thanks to his extensive fixed-gear experience, Jem is enjoying a lot more rest in the corners as Josh and Miguel who, even though they are strong riders, are racing for the first time on fixed-gear bikes…with no brakes! The crowd is gathering around the finish line. There are a lot more people watching than racing which means noise. Lots of noise. The riders come around the last corner and they are glued together. Coming in very, very fast, the crowd is popping as the three riders put their heads down and get out of the saddle to sprint with every little bit of energy they have left. Miguel runs out first sitting up for third place as Jem uses every once of lactic acid to create an explosion of power towards the finish line to become the champion of the first ever Kingdom Crit Series race ever. Everyone in and out of the race is going nuts after watching a very exciting sprint that no one saw coming. The race was a success. Both the men’s and women’s races went according to plan and everyone not only stayed safe but had one heck of a good time. 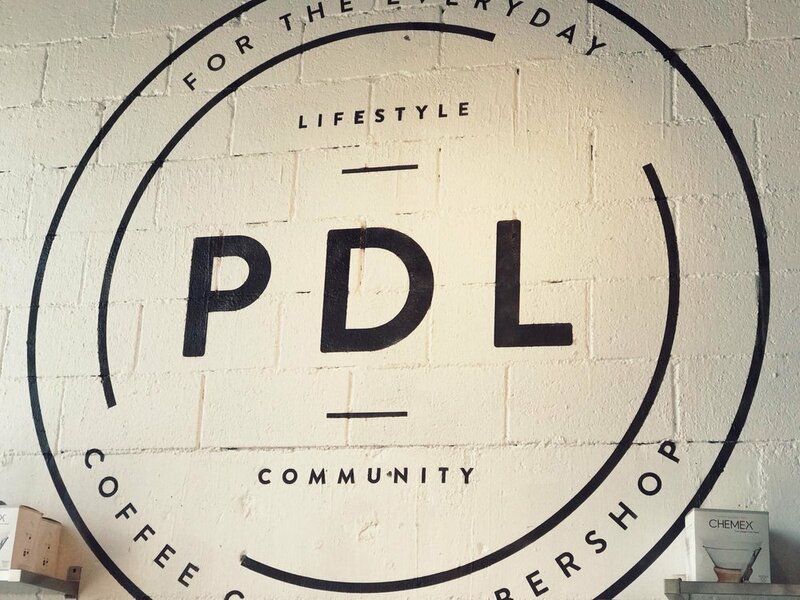 Thanks to our sponsors - Pdl, The Project, Slash - and support crew, everything went well and according to plan, making it possible to start thinking about the next one! See you then. In the Team’s first year, Red Bull Last Stand was its second biggest appearance in the biggest stage, after Red Hook Brooklyn. Only a week after Red Hook Milan, Johnny, Jace, Jake and Christina lined up for a different format of fixed-gear criterium. Every lap, the last person to cross the finish line is eliminated. The Team did an amazing job. In the women’s field, Christina finished 9th which added on to her 3rd place overall for the women in the day. Watch below her whole race. While we wait on the Red Hook Race report and content from the Red Bull Last Stand where the team was present in the past couple of weeks, the popular Youtube channel GCN (Global Cycling Network) also made an appearance at the Red Hook Crit Milan, where they put one of their riders in the race and documented the full experience. Our rider Andre makes about a 5 second appearance in the first video. Give them a watch as they have some very insightful observations. 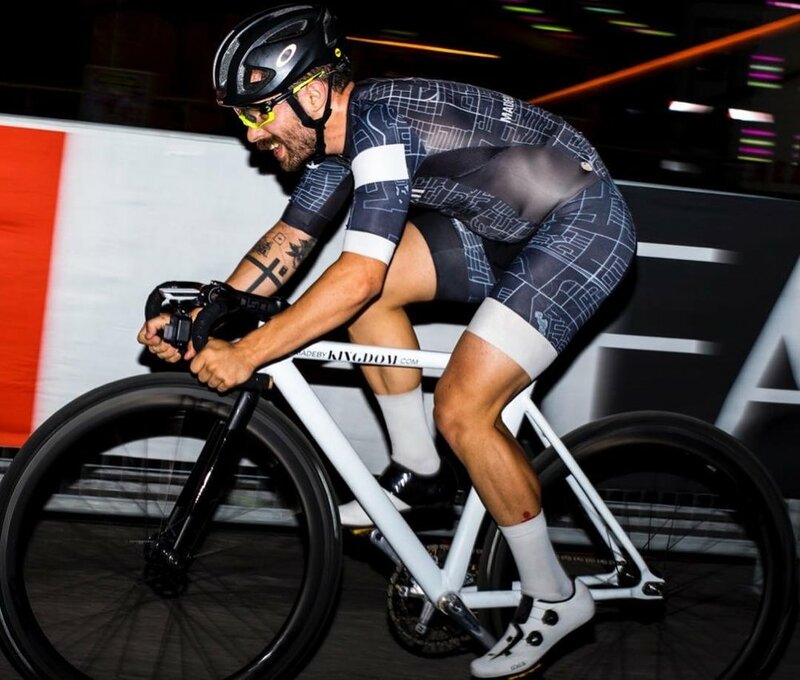 This past Saturday Andre raced the Red Hook Crit in Milan. He started the 4th heat in 72nd place, below are the on-board videos of his attempts of qualifying for the final. On board videos with commentary and race report coming soon. Stay tuned. The Men's A Final on board with Team Kingdom's Andre Abreu at the 4 Crit Coppa Agostoni Cinelli, in 2018. Weeks of travelling, thousands of dollars invested, thousands of kilometers ridden in training. All for a half hour race. Yet I can’t wait to do it all over again. You can always make excuses for when it goes wrong, the truth is that everything is not always going to go according to plan and you have to be prepared for it. Welcome to my cup-half-full thinking process. When I (Andre - Kingdom Founder) did my first fixed-gear criterium back in May, in LA, I had no idea what to expect. I had been training and I knew how to ride a fixed-gear bike yet my goal was to simply not get embarrassed. 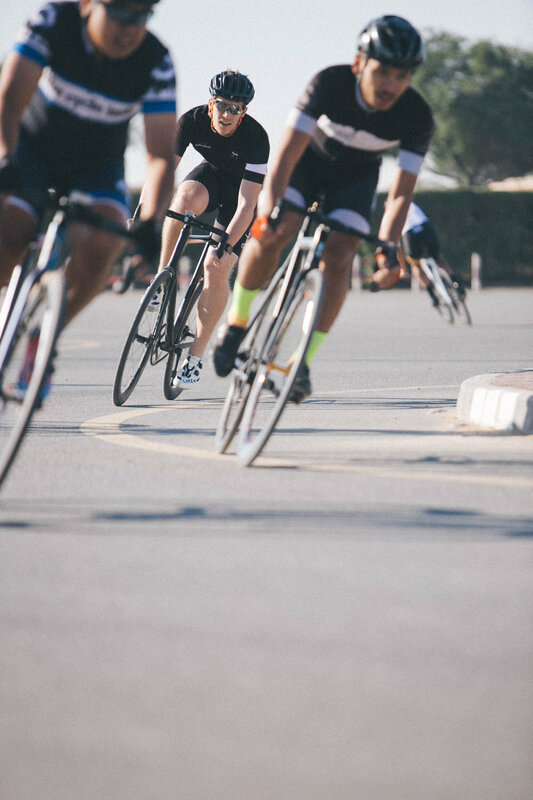 In every fixed-gear criterium (we’ll just call them fixed crits from here on), the first goal is to qualify for the main event of the day – the final. Then, not to get lapped by the leader, in which case you have to abandon the race, you still get ranked but with a DNF (Did Not Finish) remark before your name. Once you accomplish those two main goals you start thinking about things like positioning: top20, top 10, top 5… then, winning. Not a lot of people get to that mindset, you’d have to be close to a professional cyclist to do so. Yet in that race in LA I did finish the final (barely) and was extremely excited to repeat it all. Fast forward to the “European Tour” where the plan was for me to go to England, the Netherlands and Switzerland to get as many points as possible towards my World Championship qualification. Now, as you know, if you’ve read the Minet Crit and Draai V/D Kaai race reports, I went into those with very low expectations. First to qualify for the respective finals and subsequently to get myself some points, which required me finishing the race on the same lap as the leader. Now I’m in Zurich, Switzerland and I’m only holding the 10 points I scored in England. England was the “easiest” race thanks to the course not being very technical. Then in the Netherlands, it was a whole different ball game–tight turns, cobble stones and professional cyclists. Zurich doesn’t seem much different from that. Several of the same strong riders are here and the course is not any easier. I’ve stopped thinking about the possibility of finishing the final, now my one and only goal of the day is to “just” make it to the final. How? Top 10 of each of the three qualifier heats advance to the final. Unfortunately, in events like these, I become a very goal oriented person. Like you read before, there are these milestones I put myself through: qualifying, not getting lapped, etc. Well, that’s definitely not the best approach. Why? When I’m focused on qualifying, what I have to do to accomplish that is finish Top 10 on the qualifying heat, so theoretically, 10th would be fine. It shouldn’t be because that means starting the final at the back of the starting grid, which reduces the chances to finishing the race in the same lap as the leaders to almost zero. Now, try to guess what I did? Started well, then started getting scared of the one tight corner on the course, moving towards the back. 3rd… 5th… 7th… And where does my mind go? : “I could still lose three spots and I qualify, so what do I do? Sit back and “save energy”, moving all the way down to 10th and pat myself on the back for securing 10th place. Fast forward to the start of the final later in the night and guess what position in the starting grid that self-back-padding gave me? Yup, last. And now the goal-orientation process restarts all over again. Start as hard as possible to move close to the leaders. I started by passing 2-3 people per lap but by the time I got to 22nd or 23rd place the front 20 were way too far ahead and now I get to race for survival. At least I got some nice skilled new friends to keep me company. I did end up getting lapped but had a blast nonetheless. I got to hang out with some very cool people in a very cool city. No points again for me toward Fixed Nations Cup qualification but like any of these races, if I finish with all four limbs, it was indeed a success. Fingers crossed for coming back stronger (mentally?) in Italy next month to qualify for the first ever, unofficial Fixed Criterium World Championships. Not long ago we found out about Russian Raketa, a Russian fixed-gear bicycle component company. They make very high quality, very unique and well designed parts. 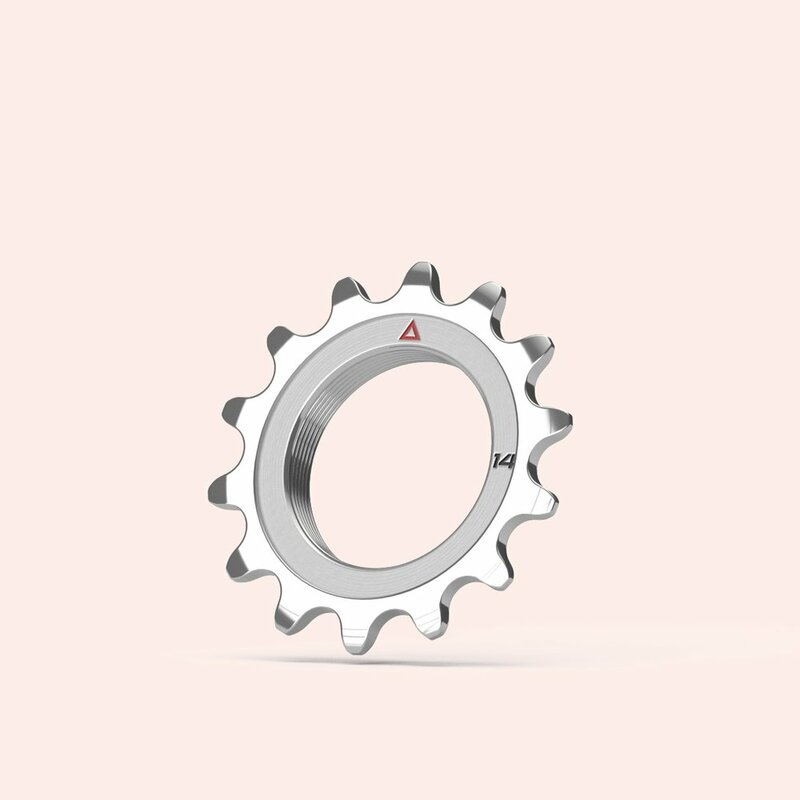 On their website you will only find variants of their three products: chainrings, hubs and cogs (+ lockrings). Soon you will start seeing these amazing products (chainrings and cogs) on our Elska Team Edition bikes. More to come. Michelton Scott of Australia is one of the few Grand Tour cycling teams. As the name says, Grand Tour teams are the ones allowed to race Grand Tours which are the three main road cycling races of the year. Races that last longer than 14 days: the Giro d’Italia, Le Tour de France & La Vuelta a España. Michelton Scott is very similar to Kingdom in some ways. They focus a lot on content creation. Having been around for a few years (even though they changed sponsors which meant name changes), they have created very interesting content, Grand Tour related. It is not common to have a lot of behind the scenes footage of these big races. Michelton Scott started doing that exact thing a few GT (Grand Tour)’s back–creating behind the scenes, consistent content. More specifically daily videos while on the Grand Tours. Last year they even had a TV show made out of their 2017 Tour de France race which is available to be streamed on Amazon Prime; a 6-episode cycling/ cooking show that will have you glued to the screen one episode after the other. It has been really rad to follow this team throughout their adventures but this year they did something they could never have planned: they documented the behind the scenes of winning a Grand Tour, the 2018 La Vuelta a España. Their British rider, Simon Yates (who has won the “Best Young Rider” award at Le Tour the France), along with his teammates executed the perfect plan to pull of an amazing, somewhat unexpected win. And the whole thing is documented. What can describe it better than the images themselves? Below we leave you with the 21 videos of the 21 stages of the 2018 La Vuelta a España, won by Michelton Scott’s Simon Yates. 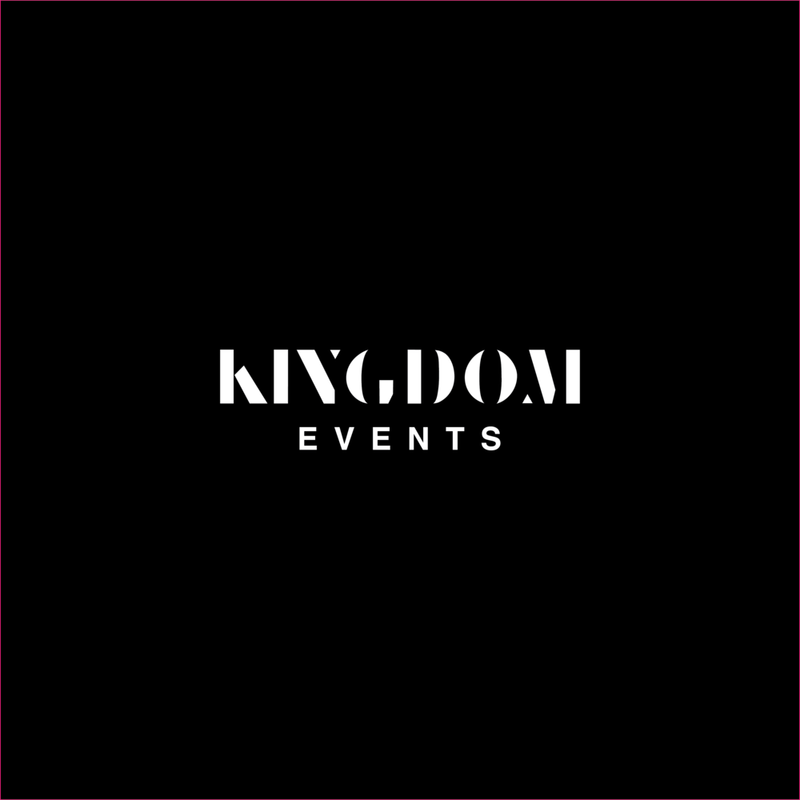 Huge congratulations from the whole team at Kingdom to the entire Michelton Scott team. We can’t wait to see what you guys do next. We have been obsessed with these guys for a while now: The Slow Ride Podcast. They have been making this podcast for years now, on a weekly basis. A podcast that talks about all things cycling and all things non-cycling… It’s a broad show, ran by three funny American guys that simply want to express the joy that is the sport of cycling. The Men's A Final on board with Team Kingdom's Andre Abreu at the ZuriCrit, in 2018. You know the intensity of a race is jumping up a notch when the city center is shut down for the racing, beer is cheaper than water, and some of the other riders make large sized bikes look like toys. Welcome to Roosendaal and the NL Crit series. All that frantic racing led to an 33rd place finish for Andre, which we're stoked with! Why didn’t I loosen my cleats if it was already a problem in the last race?! We’re back at it. This time in the beautiful country of the Netherlands. Woke up early, explored Antwerp in Belgium, got on a train, changed trains and we’re looking for registration. A Stadium? Registration’s at a stadium? Sounds fancy. Timing chips, bracelets, aero numbers… this is fixed-crit racing taken to the next level. I’m not nervous. I’m not nervous. Why isn’t that working? I can’t even count how many of these dudes have gotten Red Hook podiums… Let’s go find the race course. Security. Gates. Barricades. Tons of people. Cyclists. I’m not nervous. I’m not nervous. Ladies are going off soon, this is exciting. The whole town is shut down. There’s silence as the announcer is counting down. Lead motorcycles go. Gun shoots. Ladies are off. Two laps in and we stop seeing them come through. Something must have happened. An ambulance speeds through the course. That’s not good. Only have a dozen ladies made it out clean and the rest of the race is put on hold. Hours go by as arguments and are had and ideas are thrown around to come to the conclusion that the fixed ladies would race for 5 laps after the pro road ladies and before the fixed men. Meanwhile it’s my turn to warm up. This race is so fancy they provided rollers for us, I’ve ever been on one. I put my bike on it and remember the tips I’ve received, pedal fast and look forward. With one hand on the rail I got my shoes clipped in, I’m pedaling, a few seconds later I’ve got my hands on the handlebars and a quarter of an hour after that I’m warm and ready to go. As the ladies finish we’re allowed onto the course for a few neutral laps. 70% of 1.7km are cobbles?? Not only am I not used to cobbles but I’ve never ridden a fixed-gear bike on them and my saddle is an unpadded sheet of carbon-fiber. I’m not nervous. I’m not nervous. Usually on my recovery rides my heart rate beats per minute averages in the 120’s. The race is 30 seconds away from starting and my heart rate is at 135BPM. I’m rethinking all the useless crap I thought of in the beginning of the last race. By the time that’s over the announcer is counting down. I have no clue what he’s actually saying, why would you count down in Dutch on an international race? Did I mention how this is the biggest crowd I’ve ever raced in front of? We’re in Downtown Roosendaal where the streets are closed and to get in you have to either buy a ticket or be a part of the race. Still, there are hundreds, probably thousands, of people on the barricades. Even more came for our event, there are people throughout the whole course, I feel like that’s given me a whole extra gear to race with, although I bet I’m probably not the only one. My main goal right now is to pass as many people as fast as possible. I’ve completely forgotten about the cobbles, I’m racing through these professional cyclists like it’s no big deal. I know it’s going to hurt soon but right now I couldn’t care less. Starting from virtually last place, I’ve passed about 5 people in the first lap and probably as many on the following one. Now everyone’s in a straight line, there's no more bunching. I notice this because on very tight turn I loose 1-2 bike lengths to the rider in front of me. That can’t be good. Either I start taking more risks or this race is going to be over for me very soon. We’re five laps in and loosing space in the corners is killing me. My heart rate’s been in the 180’s since the start and it can’t last forever, I definitely need to be more efficient, especially knowing that I’ll only be able to close gaps for so long. These have been the longest laps of my life, I feel like I’ve been racing forever and it hasn’t even been 10 minutes. I’m starting to get worried. The front group is gone and I’m having trouble holding onto the second one, if I drop from this one it won’t take long before I get caught be the leaders. As I drift back, no one around me is willing to help; either they're as bad at cornering as me or they aren’t fit enough to be here at this point of the race. For a couple of laps I’m leading a small group of riders while staring at the backs of the main group. They’re not getting any closer but I can still see them. Eventually someone comes around me and tries to help but it would take something superhuman to get back in the race at this point. A few more laps in and it’s just me and one other guy giving it all trying not to get lapped by the leaders. The race is 15 laps long and we’re 11 laps in. Theoretically we just need to last for another 3 because then the leaders finish and we don’t have to worry about them on the last lap. We’re working together and giving it our all. We haven’t heard a motorbike or seen a cyclist in a while. All of the noise is coming from the overly excited (or just drunk) crowd. Half way into the 12th lap and my new friend is not helping anymore. At this point he’s just hanging on to my wheel hoping to make it to the end. We ride the chicane and as we’re heading into the main straight I hear the motorbike. Crap. I’m still hopeful, so I’m about to yell at the guy behind me to help me sprint out and just really try to see this one through with me. I look back and he’s gone. Now it would just be rude to not follow the rules. I pull aside and not 5 seconds later, the leaders are flying by. I can say I gave it my all but most importantly I know how much I need to, and want to learn. This is only the beginning, my goal of becoming the best Portuguese Fixed-Gear Criterium racer is only getting started. Eventually the race finishes and because I wasn’t in anymore I got to watch Eamon sprint to another very impressive win. Thinking that was the end of it I get back onto the course to cool down. The podium is facing the crowd on the opposite side of the course and the participating riders to get to watch it from inside the course. Suddenly the road gets packed with cyclists. I don't recognize any besides the fact that they were all wearing matching gear and it all looks very legit. Not long after that I started recognizing jerseys, then faces… then Tour de France faces… Yes, this year’s Tour de France. I’m not nervous. I’m not nervous. The Men's Final on board with Team Kingdom's Andre Abreu at the NL Crit Series - Draai V/D Kaai, in 2018. A curving, swooping track under the sweet London sunshine and a rad way to kick of our very mini European tour. All that frantic racing led to an 11th place finish for Andre, which we're stoked with! My shoes' cleats are too tight, I’m gonna lose time on the start. Over-spun during qualifying; should I change gears? The bib-number was making a little noise in the wind, should I re-pin it? Because you know, aero… *Announcer* “Row 8, #44, Andre Abreu”. We travelled west traveled west, and thanks to the Dubai - London mission my brain is a couple of hours ahead of local time. Once I got my race socks and slides at Rapha and got fed, falling asleep early was easy. Breakfast at 7am, didn’t even need an alarm. It seems early but for some reason the race’s organization is up and I know that because they messaged me on Instagram. Wait, why is the organization messaging me? Apparently they saw our post last night and thought I was too fast for the group B qualifying based on that… I’m OK with that, it basically means I race the A qualifying and am automatically qualified for the final. Suddenly we’re at the race course. Qualifying is in less than an hour. So much for relaxing after the warm up. Meh, Qualification is only 5 laps long anyway, that should take like 6-7 minutes, plenty of time to chill after that. I think I’m ready… Should I get pinned now or after warming up? You know what, why not just be ready to race now so I don’t have to worry about anything before the start? Good idea. Apparently no one knows if we’re using the starting grid for qualifying or not. Honestly I hope not because I’m #44 which means I’d start last… We’re not! Cool, I’m starting first now, watch me. Now I have no reason to be nervous and I’m as fresh as it gets, this is going to be fun. 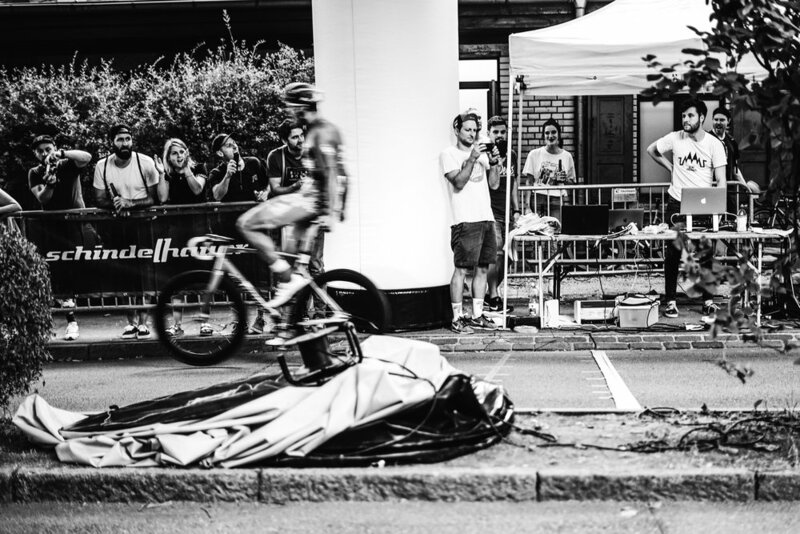 The Men's Final on board with Team Kingdom's Andre Abreu at the Minet Crit, in 2018.